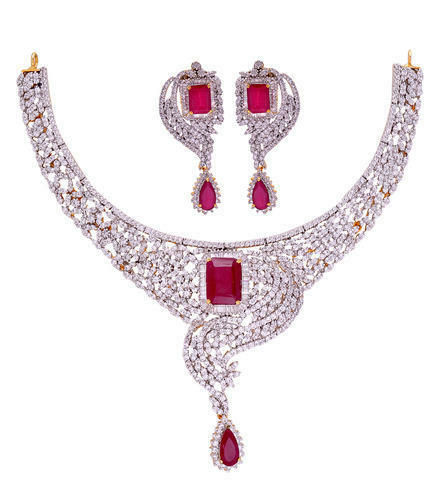 Classic Necklace Set is offered to the customers at industry leading prices. These chains are widely liked and appreciated by fashion conscious clients as these are perfect to be worn at special occasions. Moreover, we offer these chains to the clients in attractive and genuine quality packaging. It is available with Gold, Silver, Rose gold , Black Rhodium colors. We have used high quality American Diamonds and Cubic Zirconia Stones.